Parliamentary candidates are legally challenging the government on cutting a disability fund. Emily Brothers explains why. It isn’t our impairments that disable us, but how society fails to include us. That’s evidentially true in education, employment, transport and so on. Politics is no different from other spheres of life, as the system places barriers that disable us. The biggest prohibit or to equality, of course, rests with money and power. In the main, disabled people have neither money nor power. That’s why I have commenced judicial review proceedings against the Government on Wednesday. Working across parties with the More United campaign, we placed this legal challenge to address the Government’s failure to evaluate and restore the Access to Elected Office Fund. The purpose of the £2.6 million Fund was to create a ‘level playing field’ between able-bodied and non-able-bodied candidates. It ran from 201 to 2015, but was frozen and put under ‘review’. The scheme provided funding to disabled people like myself, to meet the extra costs incurred by disability. It enabled us to contest selections and elections more fairly. The cost of standing for election is prohibitive for many, but for disabled people standing for election can be significantly higher. Most candidates incur personal costs of campaigning and foregoing salary, but those with disabilities may also, for example, incur the cost of requiring specialist technology for blind people, an assistant, a British Sign Language interpreter, or a mobility car. I received support from the Fund when Labour Parliamentary Candidate for Sutton and Cheam in 2015. As someone who is blind and hard of hearing, the volume and speed of inaccessible information is impossible to manage without assistance. Getting around to talk with voters, dealing with a variety of network and media opportunities, as well as designing leaflets and campaign stunts is tough enough without having sensory impairments. The Fund didn’t meet any campaign or personal costs, but simply the support I needed to operate effectively. Together with Liberal Democrat claimant, David Buxton, and Green claimant, Simeon Hart, I am calling on the Government to complete and publish the review of the Fund and re-open it without further delay. In 2011 the Census found that around 11.5 million people in the UK (18.5% of the population) had a long-term health problem or disability that limited their day-to-day activities either a lot or a little. 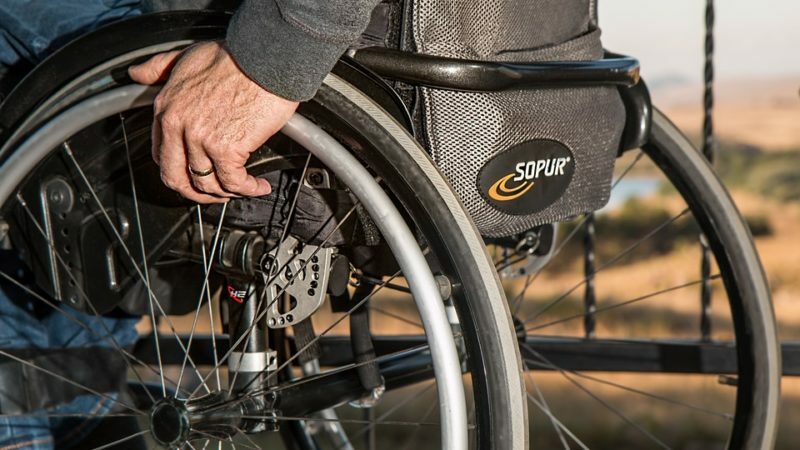 In the same year, the Office for National Statistics also reported that over a quarter of disabled people say that they do not frequently have choice and control over their daily lives. Most organisations that support disabled people all too often do not involve disabled people in shaping policy and designing services. What is more, the representation of disabled people in public and political life is woeful. Just five members of parliament openly identify as a disabled person. This falls well short of a representative proportion of the population which would look closer to 120 seats in the House of Commons. The Labour Party is no different, illustrated by the fact that there only a reported 9,000 disabled members amongst the 570,000-strong mass movement that has emerged. A membership more fairly reflective of Britain’s disabled population would include something like 105,000 disabled people. And even if the gap of 96,000 is lower in reality, as many people do not feel comfortable disclosing their disability or health condition, it is widely accepted that the Labour Party is a good way short of being truly reflective of disabled people. This raises important cultural and structural challenges. The party’s 2018 Democracy Review provides an opportunity to start addressing this unfairness. Whatever the outcome of our judicial review, it is a signal to the Labour Party and to the rest of Westminster that disabled people are prepared to act if change remains so allusive. Political parties are subject to the Equality Act (2010) brought in by a Labour Government. We have set the standard for being an exemplar in law and practice, not the envoy of disabling politics. Emily Brothers was the 2015 general election Labour candidate for Sutton and Cheam and for the Greater London Assembly in 2016. She serves on the Executive of the Fabian Society, Disability Labour and LGBT Labour.